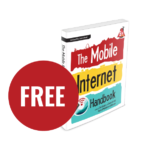 Higher-end enterprise mobile routers from Peplink and Cradlepoint have long been appealing to RVers and boaters with the most demanding mobile internet needs, particularly for those with an IT background who are not intimidated by managing a more complex device. Even if you aren't an IT manager looking to provide connectivity to a fleet of squad cars, ambulances, trains, buses, ships, or delivery trucks - the solutions offered by these two go-to companies provide rock-solid cellular-integrated routers worthy of consideration. Products at this advanced end of the mobile market tend to evolve slowly - but as we enter 2019 there has been some major new developments from both Pepwave and Cradlepoint. Cradlepoint is updating several of its models with new LTE Advanced Pro modem options, enabling blistering fast peak theoretical cellular speeds of over 1Gbps! And Pepwave's new MAX HD2 Dome pioneers placing the cellular modems closely mated to outdoor antennas in a roof (or mast) mounted dome, while still keeping the SIM cards indoors for easy management. These new products are likely overkill for many nomadic households, but they do give everyone a glimpse of what to expect in the years ahead as mobile technology like this continues to advance and become more mainstream. Cradlepoint's COR Extensibility Dock allows you to add a second cellular modem, as well as two more non-gigabit ethernet ports to the IBR900. If you have an old IBR900, you can use this dock to add a new gigabit modem module. 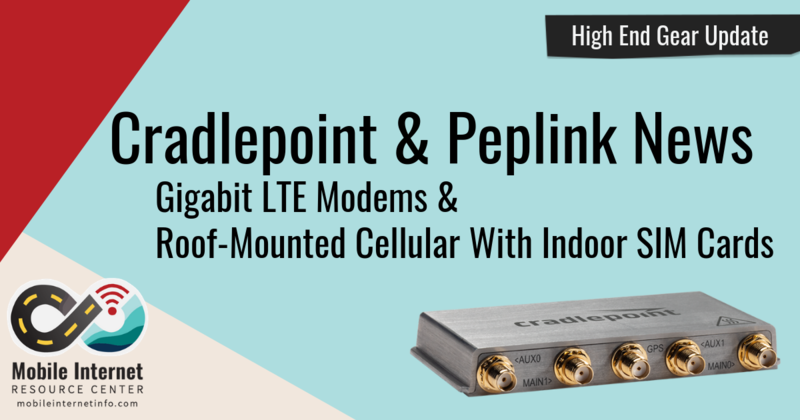 Cradlepoint has been pushing the leading edge of integrated cellular modems - and new for 2019 several Cradlepoint models will be available with an LTE Advanced Pro Category 18 modem option. This new cellular modem is a beast - supporting a peak theoretical download speed of 1.2Gbps, and peak theoretical uploads of 150Mbps. These speeds are enabled thanks to LTE Advanced technologies like 256 QAM, 4x4 MIMO, LTE-LAA, and support for combing up to five LTE bands via carrier aggregation. This is just about as advanced as cellular can be in a pre-5G world. The ARC CBA850 is basically a plastic shell around a MC400 modem module, allowing you to use this gigabit cellular modem over ethernet with any traditional router - just like you would use a cable or DSL modem. This is the most universally compatible modem we have ever seen - supporting even T-Mobile's long-range LTE Band 71, AT&T's public safety focused FirstNet (very important for the police/fire/ambulance market), and even the cutting-edge CBRS band that carriers are only just now beginning to experiment with. It may not be actual 5G technology - but Cradlepoint's marketing is making it clear that this is a "Pathway to 5G". COR IBR900-1200M ($999) - Cradlepoint's most mainstream and affordable mobile router is being upgraded with the gigabit modem. We've had the January 2017 LTE Category 6 version of this router in our extended testing arsenal (our review) and have been impressed with it. 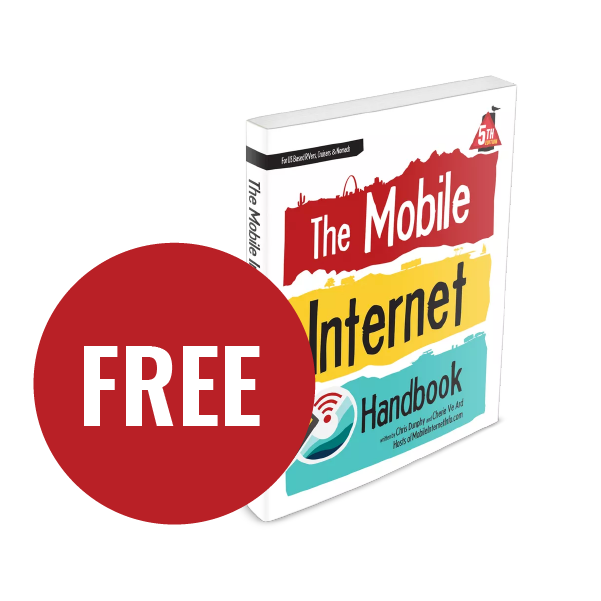 Note that the IBR900 only has space for 2x cellular antennas, limiting it to 2x2 MIMO! COR IBR1700-1200M ($1,527) - The big brother of the IBR900 is designed for "mobile command centers & mass transit" and supports adding a second modem module via an MC400 slot for redundancy. This device has space for 4x4 MIMO. AER2200-1200M ($1,459) - Designed for branch offices and restaurants, this router features ten gigabit ethernet ports, and support for adding a second modem. Unlike the COR routers, it is not built into a rugged enclosure designed to run directly off of vehicle DC power. CBA850-1200M ($799) - This external modem can be plugged in via ethernet into any other router, offering fast and reliable LTE. If you are already happy with your router setup, this might be a great way to upgrade to gigabit LTE capability. MC400-1200M ($599) - Many existing Cradlepoint devices have an MC400 slot, enabling you to add a new cellular modem without replacing the entire device. Adding just a modem card like this is a great way to preserve an investment in existing router hardware. The older LTE Category 11 versions of these products (labeled -600M) will remain available, and will cost roughly $150-$250 less than the gigabit models. When you are shopping, make sure you know what you are getting, and that you are focusing on the version you desire. NOTE: Cradlepoint hardware is typically sold without antennas or power supplies, which must be purchased separately for an additional cost. Most Cradlepoint retailers will be happy to help you put together a bundle to fit your needs. The Panorama 9-In-1 Antenna features up to 4 cellular antennas, a perfect (but expensive - $500+) pairing for a 4x4 MIMO router. 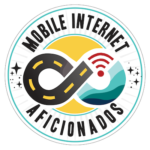 We've seen 4x4 MIMO (four cellular antennas!) integrated internally into flagship hotspots like the AT&T Netgear Nighthawk, the Verizon MiFi 8800L Jetpack, and many of the latest smartphones like the iPhone XS. But the -1200M modem devices from Cradlepoint are the first time we've seen support for 4x4 MIMO with external antennas. Though the modem will work with just two (or even one!) antennas hooked up - to really take advantage of what the modem is capable of it really cries out to have all 4x antennas hooked up. This means that your router will either look like a porcupine in your tech cabinet with multiple paddle antennas sticking out the top, or if you want the best possible signal you'll need a roof-mounted MIMO antenna with 4+ cables routed down to your router. 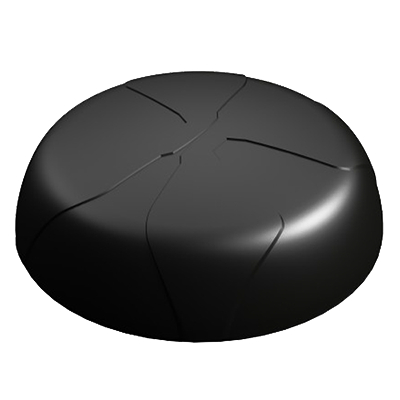 The first true 4x4 MIMO antenna option for vehicles we have seen is the Panorama 9-In-1, which comes with 4x cellular, 4x Wi-Fi, and a GPS antenna packed under its small plastic dome. This antenna has been certified by Cradlepoint for use with the new modems - and other 4x4 MIMO options are likely in the works. NOTE: We've discovered that the IBR900-1200M was NOT updated to support 4 external antennas, despite the Category-18 LTE Advanced Pro modem inside. This limits it to 2x2 MIMO, and its peak theoretical speeds to 1Gbps. In areas where the signal conditions are ideal for 4x4 MIMO the IBR900 will likely perform at half the speed of its siblings in the product line. All the other -1200M devices seem to fully support 4x4 MIMO. Though the new -1200M models are now shipping out to Cradlepoint partners such as 3Gstore, if you are interested in universal cross-carrier compatibility you might want to hold off for a few months. Cradlepoint is launching with an exclusive partnership with AT&T. 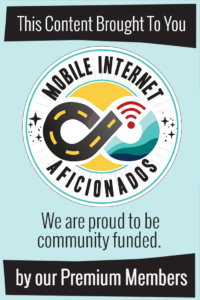 "AT&T and FirstNet are currently the first supported cellular networks until March 2019, after which customers can simply download and deploy new modem firmware to gain support for other carriers." It isn't clear whether or not the -1200M modem is actually locked to AT&T for now, or just not certified as compatible with the other carriers yet. Either way - it is probably best to wait for the universal firmware update to ensure broad compatibility. Unlike Cradlepoint, Peplink has been slow to evolve its integrated modems. 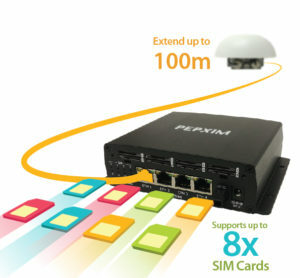 Every Peplink product at best offers a LTE Category 6 modem, now two generations behind what Cradlepoint is offering. 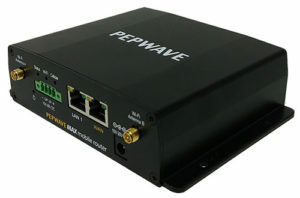 Rather than offering the fastest modems, Pepwave has focused on reliability and bonding technology that lets you combine multiple cellular connections into one. But just this week Peplink has come out with something new and intriguingly cool - the Pepwave MAX HD2 Dome. Cellular signal (especially the high-frequency bands) degrades rapidly over even the best antenna cable, so to maximize signal there should be as little cable as possible between the modem electronics and the antennas. The best possible designs combine the modem and antennas into one integrated outdoor-rated unit - ideally mounted high up away from any obstructions. The SIM Injector companion to the MAX HD2 Dome allows you to keep your SIM cards indoors and the modems on the roof. Eight SIM cards is overkill though - four would have been fine. But who want to climb up on their roof (or up a mast!) to change out SIM cards to change around your cellular plan? To solve this problem - the MAX HD2 Dome puts the modems and antennas on the roof, connected indoors via an ethernet cable. Indoors the unique "SIM Injector" provides power, and lets you install and select between 8 SIM cards that you can easily toggle between. Note however that the HD2 Dome is cellular only, and has no Wi-Fi capabilities so you will need to provide an indoor Wi-Fi Access Point on your own. And if you want long-range Wi-Fi, you'll need to tackle that separately as well. Oh - and the HD2 Dome costs $3,499, and still comes with the same Cat-6 modem technology that Peplink has been using for years now. Doh! The SIM Injector is an optional upgrade, and costs an additional $1,499 - a very pricey addition that we wish would be considered as standard equipment. Are Upgraded Pepwave Modems Coming? The 2017 MK2 model of the MAX BR1 was a worthwhile alternative to the Cradlepoint IBR900, but it is falling behind on cellular specs. As of early 2019 Peplink has begun dropping hints that a new series of Pepwave routers may be coming to market soon with AT&T FirstNet (LTE Band 14) support, and very likely support for T-Mobile's LTE Band 71 too. No other details are yet available - but seeing as Pepwave has fallen several modem generations behind Cradlepoint we can only hope that a substantial jump is in the works. 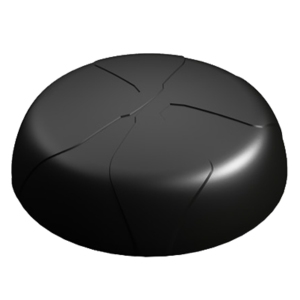 That is why it is surprising to see a new product like the HD2 Dome come to market in early 2019 with the same old (but tried and true) internals. Do you really want to invest thousands of dollars in gear that will be permanently mounted on your roof, and which is already borderline obsolete? 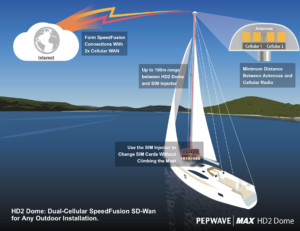 Hopefully a more thorough gigabit LTE refresh is in the works for the rest of the Pepwave lineup, and updates will be coming to market in 2019. Since Pepwave devices do not offer an upgrade path like Cradlepoint does with the the MC400 modem slot, definitely keep this possibility in mind in your planning. 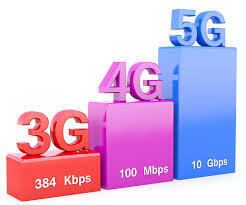 The fastest millimeter wave 5G technologies will not penetrate through vehicle walls and windows very well at all. In the 5G future, roof-mounted modems will become increasingly vital for maximum performance. Imagine if you could combine Cradlepoint's modem advancements and upgradeability with Peplink's overall ease of use, outdoor dome, and remote SIM card management. And then add into the mix the long-range Wi-Fi capability of WiFiRanger's EliteAC (our review). Now that would be a very sweet setup for advanced RVers and cruisers! This way you could always have the cellular modem on the roof closely mated with a 4x4 MIMO antenna, without any cabling hassles. And if the system was designed for upgradeability, it would leave a path forward to true 5G which will benefit even more from having the modems and antennas closely mated and outdoors. Unfortunately - we don't know of any company that is pulling all of these pieces together like this in any sort of consumer friendly package yet. 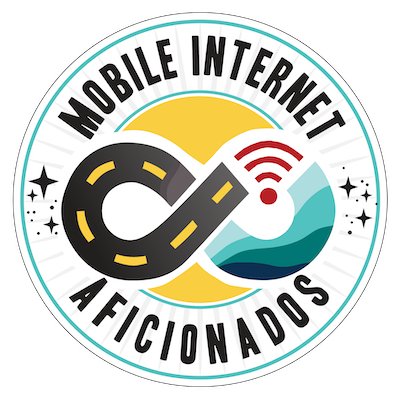 But now that gigabit LTE technology is becoming mature, we certainly expect that someday this sort of advanced connectivity option will become more common.